The weather in Adelaide turned chilly for a few days so I was in search for something that would warm me up from the inside. I love cooking things in the slow cooker but have not tried many on the stove top. This recipe was full of things I would never have thought to put into a stew like cloves and all spice. It smelt amazing when marinating the meat and the finished product was so rich and refined. It definitely warmed me from the inside out and left me with the warm and fuzzy's. I love the fact that any meat will do, as it cooks for so long you can go budget! Bash the allspice berries, cloves and a pinch of salt in a pestle and mortar. Add the peeled garlic and keep bashing until your have a paste. Tip it into a bowl, tear in the by leaves and add the rest of the marinade ingredients. Toss in the meat until well coated, then cover with glad wrap and put into the fridge for at least 2 hours, preferably overnight. When ready to start cooking, heat a few lugs of olive oil in a large saucepan over a medium heat. 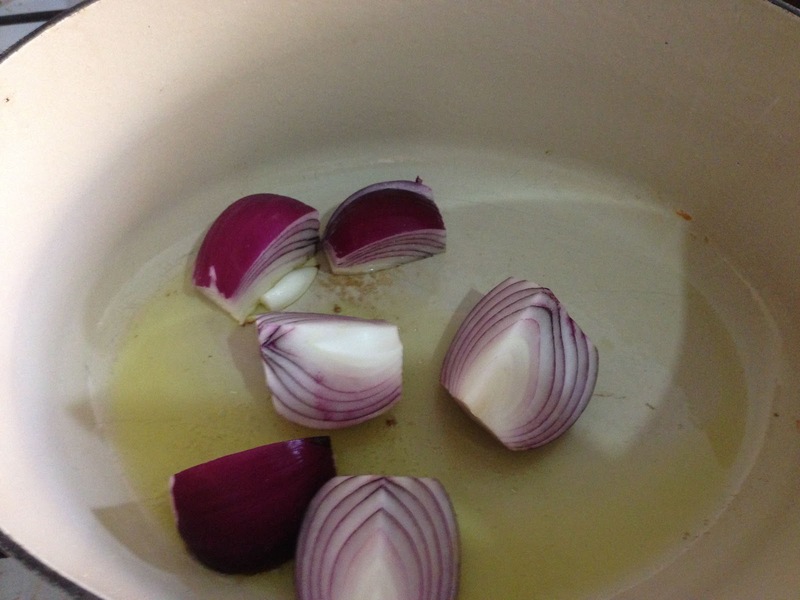 Add the peeled onions and cook, stirring occasionally, for 10 minutes or until softened and golden. Add the meat and its marinade, then the raisins, tomatoes and puree, and pour in just enough water to cover everything. Season well and bring everything to the boil, then reduce to a low heat, put the lid on and leave to summer for 1½ hours. 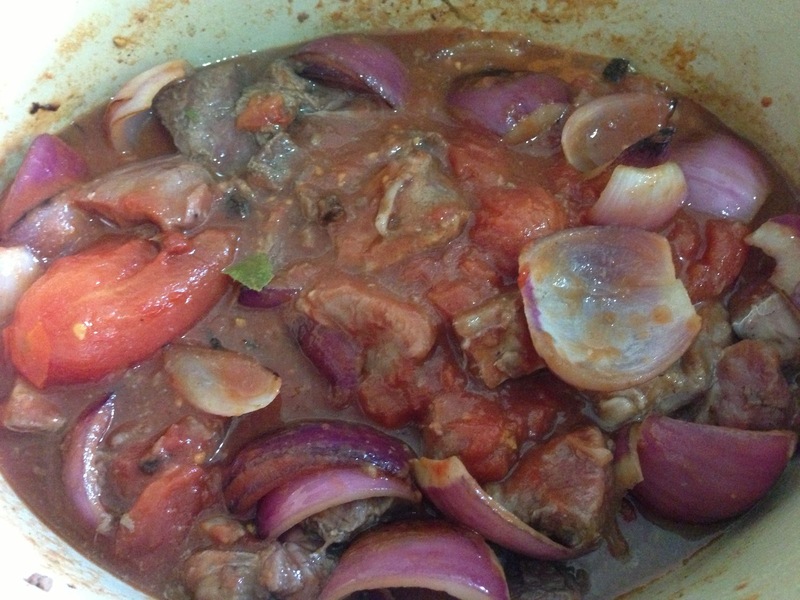 Take the lid off and cook for a further 45minutes or until the meat is really tender and beginning to fall apart and the sauce is thick and delicious. Keep an eye on it and add a splash of water if it looks a bit dry. Have a taste and add the lemon juice and more seasoning if necessary. Finely chop the parsley leaves and sprinkle them all over, then finish with a drizzle of good extra virgin oil. This can be served with pilaf rice or mashed potato with hot crusty bread. 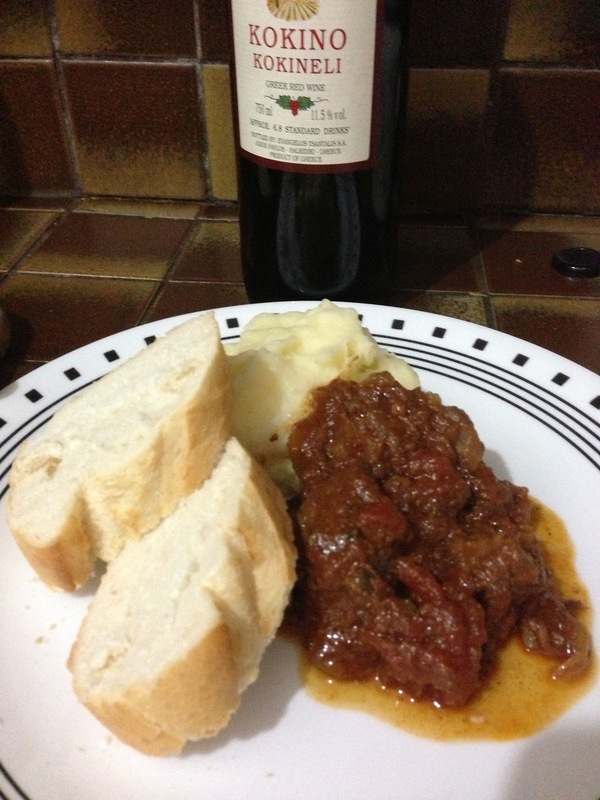 Results: This was one fantastic and very different stew.. cook it now!